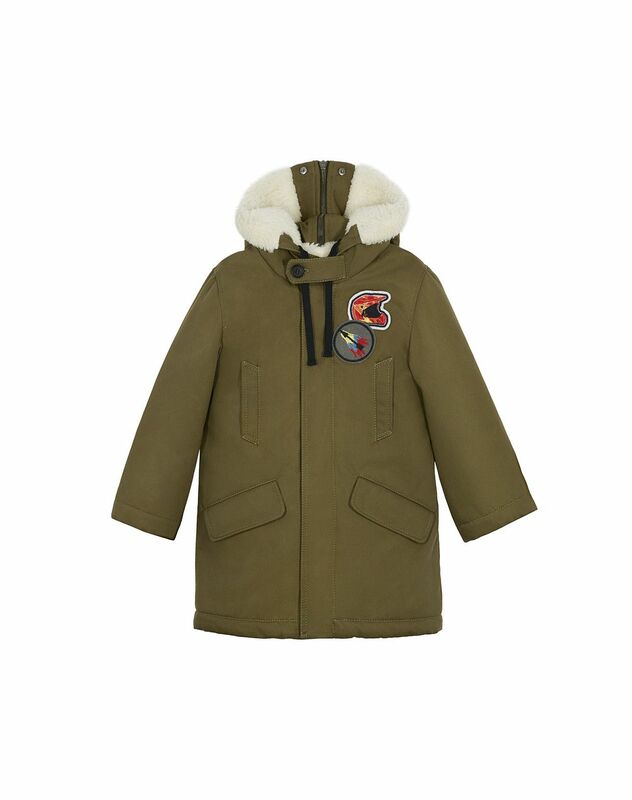 Khaki cotton parka, exclusive chest patches, zippered fur hood, black drawstring to adjust the hood with one-button closure, side pockets with flaps, cinched waist and front closure with hidden button placket. 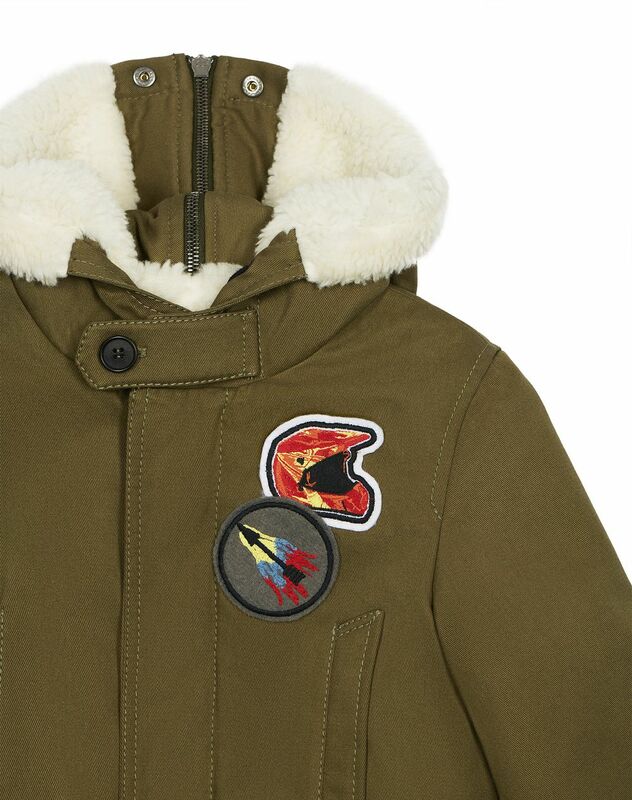 Inspired by the Men's Fall-Winter Collection, the exclusive patches add a stylish touch to the children's models. 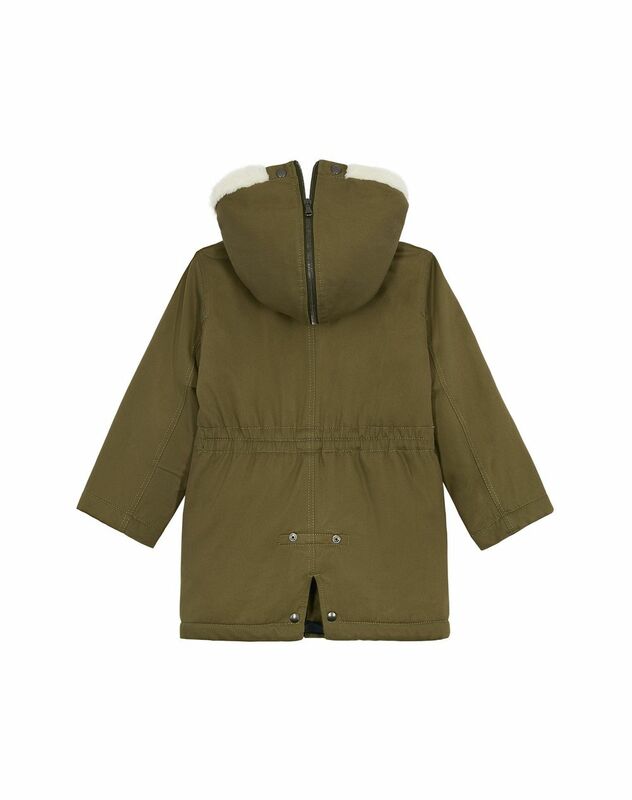 The new khaki parka will dress up winter for your kids. Main materials: 94% cotton, 6% polyurethane. Made in Italy. Care conditions: Do not machine wash. Do not use bleach. Do not tumble dry. Iron at low temperature. Dry cleaning.